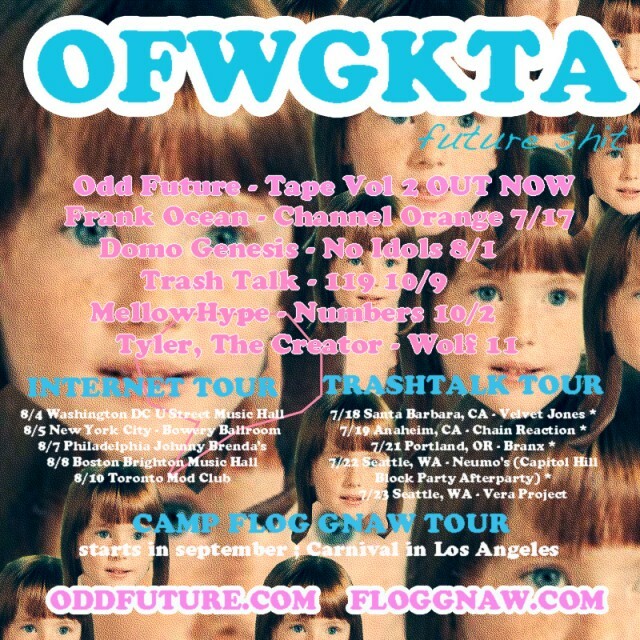 To coincide with the Odd Future's recent announcement of upcoming projects from Domo Genesis, Odd Future Records signees Trash Talk, Tyler, The Creator and MellowHype, the OF duo decided to let loose the lead single "La Bonita" off their upcoming album, Numbers. As the single's cover art suggests, the tune is a colorful number that includes Hodgy Beats' signature witty rhymes and some horn and steel-drum filled production from Left Brain. With a running time just under two minutes, the track is on the short side. However, a little something is better than nothing, right? Numbers is scheduled to be released October 2. A list of additional OF release dates can be found below. 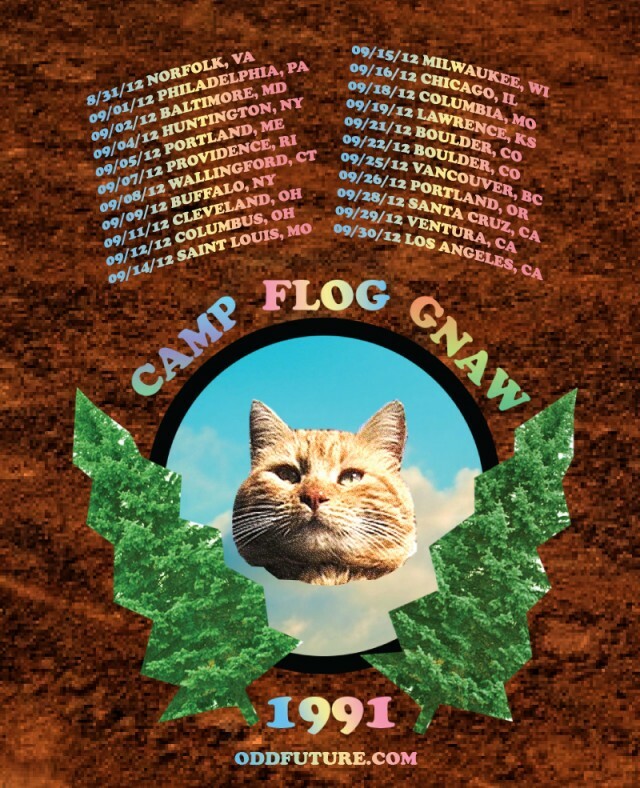 In addition to several upcoming releases, the OF crew will soon be embarking on the Camp Flog Gnaw Tour which is set to kick-off in Norfolk,VA August 31 and end in Los Angeles, CA September 30. Presumably the venues for the locations on the tour have yet to be announced, so stay tuned for more info.